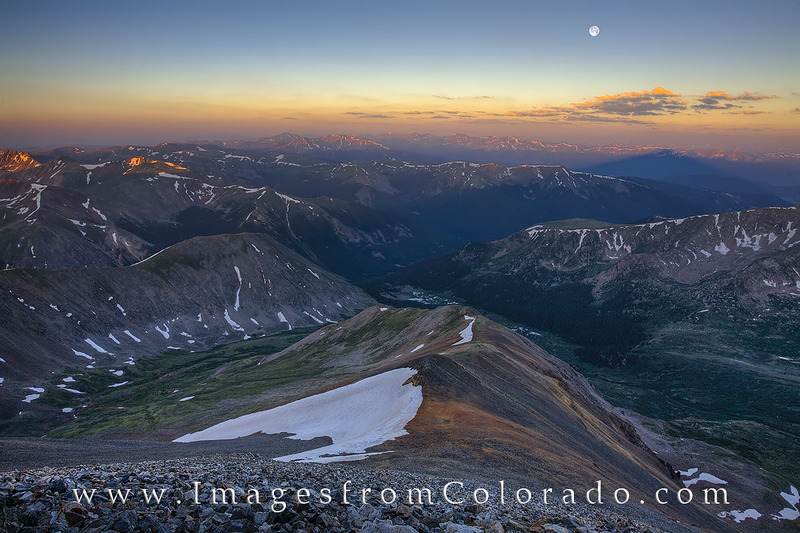 Sunrise and Moonset arrive at the same time on one of Colorado’s easier 14ers, Grays Peak (14,270’). My hiking partner and I left our families around midnight to make the full moon ascent up Grays Peak in order to witness this simulteneous event. It was a beautiful morning with all of the mountains at our feet, but I for one was sure tired upon my return home! Photo © copyright by Rob Greebon.